Your friends and neighbors might live for posting latte art or their three olive martinis, but they probably have no idea how coffee and vodka could be the keys to softer, smoother feet this fall. Yea, there’s an espresso martini…for your feet. 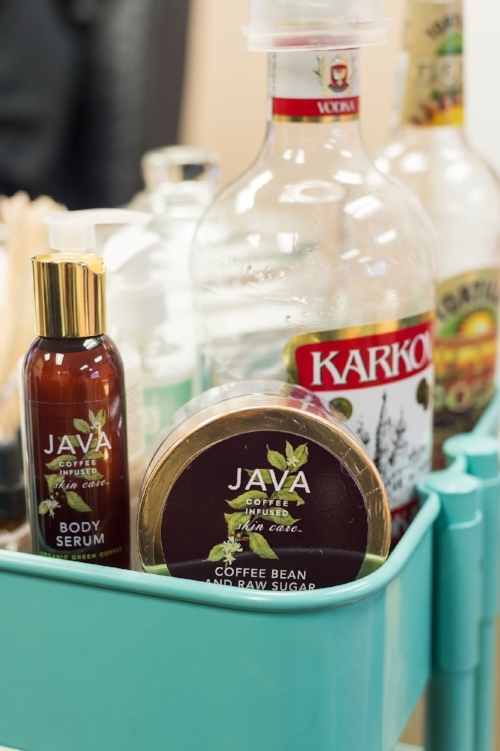 It’s a thing, and my friends at JAVA Skin Care and Perfectly Nailed in EG invited me to try their JAVA Espresso Martini Pedicure earlier this week. I wasn’t sure what to expect, but also knew my feet weren’t looking too hot after all those steps logged while walking around in Birkenstocks for most of the summer, so why not? All I had to lose were some calluses (TMI?). But let’s begin at the beginning of any pedicure – the foot soak. We’ve all been there. To use your phone or not? Wouldn’t want it falling in the water. Maybe flip thru the latest issue of People or US Weekly instead and catch up on the adventures of Blake Lively, Tracee Ellis Ross, and JLO. But this was no ordinary soak. This one included epsom salts, vanilla oil, and vodka. Wait, what? VODKA?!? That detail had my attention, so forget the smart phones and gossip-y glossy mags. 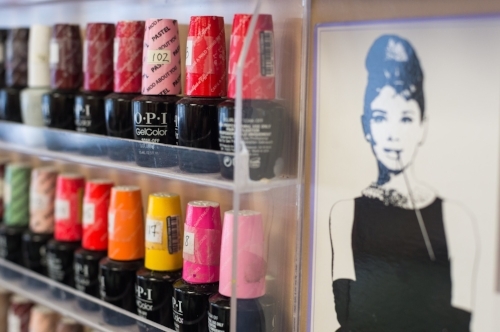 According to lovely ppl at Perfectly Nailed, liquor in general – and vodka* in particular – has natural antiseptic properties that help break down anything yucky that might be lurking in cracked heels and elsewhere on your feet. 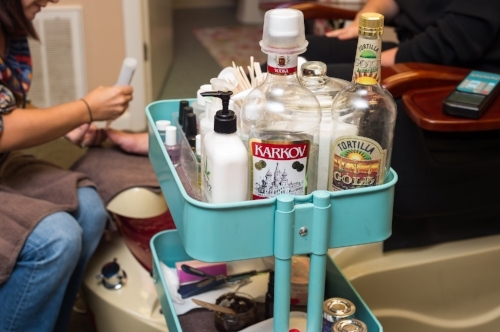 *Perfectly Nailed also incorporates tequila and whiskey into other pedi options because they too work as natural antiseptics that kill bacteria and germs that attach to the skin’s surface. The next step is an exfoliation with Java’s antioxidant rich and moisturizing scrub made with organic green coffee. The coffee scent is a nice treat too. Immediately following that? Hot towels and a foot and ankle massage with the Java Serum, two things most of us never do at home (just listened to a podcast, the two hosts who are beauty fanatics were saying the only beauty treatments that should be done at home are shaving, teeth brushing, and hair washing.). Sooo relaxing you might find yourself feeling like you’re going to float home on a cloud or something. Also, as someone who’s perpetually on the lookout for clean and cruelty free (no animal testing) beauty and skincare, gotta say (I) adore how there are no surprises with JAVA. It’s made with the best quality ingredients and they never use any phtalates, parabens, synthetic fragrance or color in their skincare. It’s also gluten, sulphate, and cruelty free. And it works like a dream. Woot, Woot! My skin’s also on the sensitive side, so I tend to be cautious about introducing different products into any beauty treatments, whether they involves the skin on my face or on my feet. Happy to report that I had no irritation of any kind. Guys, my feet have never looked or felt better! < Previous When is the last time you gave your body a really good scrubbing?